Clare Makepeace @warhist is a warfare Historian. Writing on experiences of British servicemen in World War 1 and World War 2. Clare Makepeace&#8217;s new book is entitled Captives of War: British Prisoners of War in Europe in the Second World War (Studies in the Social and Cultural History of Modern Warfare). Subscribe to HistoryHit.TV to see this [&#8230;]. . .
Charles Spencer @cspencer1508, 9th Earl Spencer, is a British nobleman, peer, historian, journalist, and broadcaster. Charles Spencer&#8217;s new book is entitled To Catch A King: Charles II&#8217;s Great Escape. Subscribe to HistoryHit.TV to see this interview on screen. Producer: Dan Morelle Subscribe, rate and review on iTunes and be sure to follow us on Twitter, Facebook, [&#8230;]. . .
Mary Beard OBE, FSA, FBA @wmarybeardis an English scholar and classicist. Beard is Professor of Classics at the University of Cambridge, a fellow of Newnham College, and Royal Academy of Arts Professor of Ancient Literature. Mary Beard&#8217;s new book is entitled Women &#038; Power: A Manifesto. Become a Founder Member of HistoryHit.TV and subscribe to [&#8230;]. . .
Avi Shlaim FBA is a historian, Emeritus Professor of International Relations at the University of Oxford and fellow of the British Academy. He is one of Israel&#8217;s New Historians, a group of Israeli scholars who put forward critical interpretations of the history of Zionism and Israel. Avi Shlaim&#8217;s most recent book is entitled The Iron Wall: [&#8230;]. . .
Dr Stephen Harrison is a lecturer in Archaeology at the University of Glasgow. His research interests focus on the archaeology of Early Viking Age Ireland and Britain. Become a Founder Member of HistoryHit.TV and subscribe to see this interview on screen. Producer: Dan Morelle Subscribe, rate and review on iTunes and be sure to follow [&#8230;]. . .
Anne Applebaum @anneapplebaum is an American journalist and Pulitzer Prize–winning author who has written extensively about communism and the development of civil society in Central and Eastern Europe. Become a Founder Member of HistoryHit.TV and subscribe to see this interview on screen. Producer: Dan Morelle Subscribe, rate and review on iTunes and be sure to [&#8230;]. . . Recorded live at Bush Hall in London on 18th October 2017. Bernard Cornwell OBE is one of the world’s bestselling authors having won legions of fans for his novels about Napoleonic Wars rifleman, Richard Sharpe. Bernard Cornwell&#8217;s new books is entitled Fools and Mortals. In a dramatic departure for the author, Bernard takes us into [&#8230;]. . .
Dallas Campbell @dallascampbell is a British television presenter and television and stage actor, best known as a presenter on the factual Channel 5 series The Gadget Show in 2008 and BBC One science series Bang Goes the Theory from 2009 to 2012. Ad Astra: An Illustrated Guide to Leaving the Planet, is out now. Become [&#8230;]. . .
Niall Ferguson @nfergus is a senior fellow of the Hoover Institution, Stanford, and the Center for European Studies, Harvard.cHe has published fourteen books, the latest of which is The Square and the Tower: Networks, Hierarchies and the Struggle for Global Power. The first volume of his biography of Henry Kissinger won the 2016 Arthur Ross [&#8230;]. . .
Sarah Fraser @sarah_fraseruk won the 2012 Saltire First Scottish Book of the Year for her acclaimed debut The Last Highlander, which in 2016 also became a New York Times ebook bestseller. A writer and regular contributor on TV and radio, she has a PhD in obscene Gaelic poetry and lives in the Scottish Highlands. Professor [&#8230;]. . .
Anthony Sattin @anthonysattin is a British journalist and broadcaster and the author of several highly acclaimed books of history and travel. Young Lawrence: A Portrait of the Legend as a Young Man is out now. Producer: Dan Morelle Subscribe, rate and review on iTunes and be sure to follow us on Twitter, Facebook, and Instagram.. . .
Dr Tim Rees is Senior Lecturer in History at the University of Exeter. Producer: Dan Morelle Subscribe, rate and review on iTunes and be sure to follow us on Twitter, Facebook, and Instagram.. . .
War Stories: Gripping Tales of Courage, Cunning and Compassion by Peter Snow and Ann MacMillan is out now. Producer: Dan Morelle Subscribe, rate and review on iTunes and be sure to follow us on Twitter, Facebook, and Instagram.. . .
Al Worden is an American astronaut and engineer who was the Command Module Pilot for the Apollo 15 lunar mission in 1971. He is one of only 24 people to have flown to the Moon. Producer: Dan Morelle Subscribe, rate and review on iTunes and be sure to follow us on Twitter, Facebook, and Instagram.. . .
Simon Elliott @SimonElliott20 is an historian and archaeologist. His new book Empire State: How the Roman Military Built an Empire is out now. Producer: Dan Morelle Subscribe, rate and review on iTunes and be sure to follow us on Twitter, Facebook, and Instagram.. . .
Afua Hirsch @afuahirsch is a writer, broadcaster, barrister and human rights development worker. She has previously worked as Social Affairs and Education Editor for Sky News and was also a correspondent for The Guardian. Producer: Dan Morelle Subscribe, rate and review on iTunes and be sure to follow us on Twitter, Facebook, and Instagram.. . .
Dr Simpson is the senior curator responsible for the pre-Islamic collections from Iran and Arabia in the British Museum. Star items in these collections include the Oxus Treasure, the Cyrus cylinder, Sasanian silver dishes, and antiquities from ancient South Arabia. Producer: Dan Morelle Subscribe, rate and review on iTunes and be sure to follow us [&#8230;]. . . Recorded at Gloucester History Festival. Dr Janina Ramirez is host of Art Detective and President of Gloucester History Festival. Janina is also course director for the Undergraduate Certificate in History of Art at the University of Oxford. Dr Olivette Otele holds a Ph.D. in History from Universite La Sorbonne, France. Her doctoral area of specialisation [&#8230;]. . .
Oona Anne Hathaway @oonahathaway is the Gerard C. and Bernice Latrobe Smith Professor of International Law and both founder and director of the Centre for Global Legal Challenges at Yale Law School. The Internationalists: And Their Plan to Outlaw War is out in now. Producer: Dan Morelle Subscribe, rate and review on iTunes and be [&#8230;]. . .
Dr. Jones @DrLeeJones is a Senior Lecturer at Queen Mary University of London. His research interests revolve around questions of state-society relations, governance, political economy, sovereignty and intervention. His area of expertise is the Asia-Pacific, especially Southeast Asia. Lee is author of ASEAN, Sovereignty and Intervention in Southeast Asia (2012) and many scholarly articles. He [&#8230;]. . .
James Hawes @jameshawes2 is a former professional archaeologist and university lecturer in German, Doctor of German literature in the lead-up to WW1, novelist and Kafka biographer. The Shortest History of Germany is out in now. Producer: Dan Morelle Subscribe, rate and review on iTunes and be sure to follow us on Twitter, Facebook, and Instagram.. . .
Shrabani Basu @shrabanibasu_ is a journalist and historian. She is the author of For King and Another Country: Indian Soldiers on the Western Front 1914-18, Victoria &#038; Abdul: The Story of the Queen’s Closest Confidant, Spy Princess: The Life of Noor Inayat Khan and Curry: The Story of Britain’s Favourite Dish. She is also the [&#8230;]. . .
Stephen Frears is an Oscar winning film director. Frears has directed British films since the 1980s including My Beautiful Laundrette, Dangerous Liaisons, High Fidelity, The Queen, Philomena and Florence Foster Jenkins. His most recent film, Victoria and Abdul depicts the real-life relationship between Queen Victoria and her Indian servant Abdul Karim. Producer: Dan Morelle Subscribe, [&#8230;]. . .
Dan Jones @dgjones is a historian, broadcaster and award-winning journalist. His internationally bestselling works include The Plantagenets, Magna Carta and The Templars. He has written and hosted dozens of TV shows including the acclaimed Netflix/Channel 5 series &#8216;Secrets of Great British Castles&#8217;. He writes a weekly column for the London Evening Standard and his writing [&#8230;]. . .
Carolyn A. Day is Assistant Professor at Furman University where she teaches British History and the History of Medicine. She received a BA in History and a BSc in Microbiology from Louisiana State University, US, an MPhil in History and Philosophy of Science from Cambridge University, UK, and a PhD from Tulane University, US, in [&#8230;]. . .
Dan is joined by historians Alexandra Churchill, Dr Fern Riddell, and Dr Suzannah Lipscomb. Recorded live at the Chalke Valley History Festival in June, 2017. Producer: Dan Morelle Subscribe, rate and review on iTunes and be sure to follow us on Twitter, Facebook, and Instagram.. . .
Simon Verdegem @SimonVerdege ‏ is a battlefield archaeologist specialising in WW1. He is head archaeologist for the forthcoming @hill80arch Project Whitesheet. Producer: Dan Morelle Subscribe, rate and review on iTunes and be sure to follow us on Twitter, Facebook, and Instagram.. . .
Philippa Gregory @PhilippaGBooks, the author who re-invented the historical novel, joined Dan love in front of an audience at Soho Hotel in May 2017 to, explore her writing career and body of work. Since the publication of her first novel, 30 years ago, Philippa Gregory has reinvigorated the appetite and fascination for historical fiction and [&#8230;]. . .
Shiraz Maher @ShirazMaher is a British writer and analyst, and a senior research fellow at the International Centre for the Study of Radicalisation and Political Violence at King&#8217;s College London. He also teaches at Johns Hopkins University. Salafi-Jihadism: The History of an Idea is out now. Producer: Dan Morelle Subscribe, rate and review on iTunes [&#8230;]. . .
Dr. Yasmin Khan @yasmin_khan is a British historian and writer, and University Lecturer in British History (18th to early 20th century). Her research focuses on the history of the British in India, the British Empire, South Asian decolonization, refugees and the aftermath of empire. She has also written about the Second World War and the [&#8230;]. . .
Anita Rani @itsanitarani returns to History Hit almost 2 years since her first appearance. This time to discuss Indian Partition and her new 2-part series on BBC One entitled &#8216;My Family, Partition &#038; Me&#8217; where she presents the extraordinary and emotional stories of three British families, one Muslim, one Hindu and one British colonial, who [&#8230;]. . . The Williamson Tunnels are a labyrinth of tunnels in the Edge Hill area of Liverpool, England, which were built under the direction of the eccentric businessman Joseph Williamson between 1810 and 1840. Producer: Dan Morelle Subscribe, rate and review on iTunes and be sure to follow us on Twitter, Facebook, and Instagram.. . . Put on your headphones, close your eyes and allow us to teleport you to the frontline of WW1. If you enjoy this episode please share with your friends. Send them to historyhit.com/360. . . SPOILER ALERT! Dan and James geek-out over the new Dunkirk film. Producer: Dan Morelle Subscribe, rate and review on iTunes and be sure to follow us on Twitter, Facebook, and Instagram.. . .
Dan attends the Menin Gate for the 100th anniversary commemoration of The Battle of Passchendaele. Producer: Dan Morelle Subscribe, rate and review on iTunes and be sure to follow us on Twitter, Facebook, and Instagram.. . .
Alexandra Churchill @churchill_alex is an author, researcher and historian who has contributed to and appeared on numerous television documentaries, including Timewatch (BBC2), Fighting the Red Baron (Channel 4) and Titanic with Len Goodman (BBC1). Her first book, Blood and Thunder: The Boys of Eton College and the First World War, was published in 2014. Her [&#8230;]. . .
Nick Lloyd, PhD, FRHistS, is Reader in Military and Imperial History at King&#8217;s College London based at the Joint Services Command &#038; Staff College in Shrivenham, Wiltshire. His new book, Passchendaele: A New History is out now. Producer: Dan Morelle Subscribe, rate and review on iTunes and be sure to follow us on Twitter, Facebook, [&#8230;]. . .
Joanna Marschner is Senior Curator at Historic Royal Palaces. Producer: Dan Morelle Subscribe, rate and review on iTunes and be sure to follow us on Twitter, Facebook, and Instagram.. . .
Clare Mulley @claremulley is an award-winning biographer, and regular contributor to historical and current affairs journals, TV and radio. Clare&#8217;s latest book, The Women Who Flew for Hitler: The True Story of Hitler&#8217;s Valkyries is out now. Producer: Dan Morelle Subscribe, rate and review on iTunes and be sure to follow us on Twitter, Facebook, [&#8230;]. . .
Dan meets some of the surviving Dunkirk veterans on the famous Little Ships which helped to rescue them from the beaches. The Little Ships of Dunkirk were 700 private boats that sailed from Ramsgate in England to Dunkirk in France between 26 May and 4 June 1940 as part of Operation Dynamo, helping to rescue [&#8230;]. . .
Clare Balding is an award-winning broadcaster, journalist and author. She currently presents for BBC Sport, Channel 4, BT Sport and the religious/spiritual programme Good Morning Sunday on BBC Radio 2. We&#8217;re launching HistoryHit.TV. Join our crowdfunding campaign now: click here. Producer: Dan Morelle Subscribe, rate and review on iTunes and be sure to follow us [&#8230;]. . .
Joshua Levine @Joshua_Levine is a historian and author. Joshua was the historical advisor on the new Dunkirk film directed by Christopher Nolan. His latest book Dunkirk: The History Behind the Major Motion Picture is out now. We&#8217;re launching HistoryHit.TV. Join our crowdfunding campaign now: click here. Producer: Dan Morelle Subscribe, rate and review on iTunes [&#8230;]. . .
Dr Lyuba Vinogradova @Lyuba_Martin is a Russian historian and author. Her most recent book is entitled Avenging Angels: Soviet women snipers on the Eastern front (1941–45). We&#8217;re launching HistoryHit.TV. Join our crowdfunding campaign now: click here. Producer: Dan Morelle Subscribe, rate and review on iTunes and be sure to follow us on Twitter, Facebook, and [&#8230;]. . .
Amelia Rose Earhart @Amelia__Earhart is an American private pilot and reporter for NBC affiliate in Denver, Colorado. Amelia is also an around the world pilot and keynote speaker. This episode was livestreamed on Facebook. Click here to watch the video. We&#8217;re launching HistoryHit.TV. Join our crowdfunding campaign now: click here. Producer: Dan Morelle Subscribe, rate [&#8230;]. . .
James Evans @jamesevansuk is a historian and television producer and Emigrants is his second book. He has worked since producing historical documentaries for Niall Ferguson, David Starkey and Michael Wood, as well as helping to write some of the accompanying books. He wrote an acclaimed account of a pivotal Tudor exploration of the north-east passage [&#8230;]. . .
We&#8217;re launching HistoryHit.TV. Find out how you can get involved and have a say in the shows we make: click here. Producer: Dan Morelle Subscribe, rate and review on iTunes and be sure to follow us on Twitter, Facebook, and Instagram.. . .
Red Sky at Noon is the new book by Simon Sebag Montifiore. We&#8217;re launching HistoryHit.TV. Join our crowdfunding campaign now: click here. Producer: Dan Morelle Subscribe, rate and review on iTunes and be sure to follow us on Twitter, Facebook, and Instagram.. . .
We welcome aviation expert Paul Beaver back on to the podcast to talk about Spitfires and returning Hugo Broch to the cockpit of a piston engine plane for what proves to be a momentous flight. Hugo Broch is a World War II Luftwaffe ace credited with 81 victories in 324 missions, all on the Eastern [&#8230;]. . .
Dan explores the Moscow Metro in search of history, We&#8217;re launching HistoryHit.TV. Join our crowdfunding campaign now: click here. Producer: Dan Morelle Subscribe, rate and review on iTunes and be sure to follow us on Twitter, Facebook, and Instagram.. . .
Shashi Tharoor @ShashiTharoor is an Indian politician and a former diplomat who is currently serving as Member of Parliament, Lok Sabha from Thiruvananthapuram, Kerala since 2009. He was a former Under Secretary-General of the United Nations and a former Minister of State for Human Resource Development and Minister of State for External Affairs in the [&#8230;]. . .
Jason Wordie is an established local historian and writer who conducts historical walks in Hong Kong for Hong Kong residents. Jason has written extensively on Hong Kong, Macao and the surrounding region and he has a regular column in the South China Morning Post. We&#8217;re launching HistoryHit.TV. Join our crowdfunding campaign now: click here. Producer: [&#8230;]. . .
Stephen Clews is the Curator at the Roman Baths at Bath. The complex is a site of historical interest in the English city of Bath. The house is a well-preserved Roman site for public bathing. The Roman Baths themselves are below the modern street level. We&#8217;re launching HistoryHit.TV. Join our crowdfunding campaign now: click here. [&#8230;]. . .
Sir David Attenborough, is an English veteran broadcaster and naturalist. He is best known for writing and presenting the nine Life series, in conjunction with the BBC Natural History Unit, which collectively form a comprehensive survey of animal and plant life on the planet. He is also a former senior manager at the BBC, having [&#8230;]. . .
Dan visits 3 museums spread along the South Coast, Pallant House, The National Museum, and Southampton City Art Gallery. Subscribe to our mailing list to keep up to date with everything History Hit, click here. Producer: Dan Morelle Subscribe, rate and review on iTunes and be sure to follow us on Twitter, Facebook, and Instagram.. . .
Richard Holdsworth is Director of Preservation and Education at The Historic Dockyard Chatham @DockyardChatham. Subscribe to our mailing list to keep up to date with everything History Hit, click here. Producer: Dan Morelle Subscribe, rate and review on iTunes and be sure to follow us on Twitter, Facebook, and Instagram.. . .
Project Recover is a public-private partnership to enlist 21st century science and technology combined with in-depth archival and historical research in a quest to transform the approaches to underwater search to locate aircraft associated with American servicemen still unaccounted for during wartime, to provide closure to families and recognition for the service members’ service to [&#8230;]. . .
Ben Macintyre @BenMacintyre1is a columnist and Associate Editor on The Times. He has worked as the newspaper’s correspondent in New York, Paris and Washington. He is the author of nine previous books including Agent Zigzag, shortlisted for the Costa Biography Award and the Galaxy British Book Award for Biography of the Year 2008, and the [&#8230;]. . .
Andrew Blick @DrAndrewBlick is Director of History &#38; Policy and Lecturer in Politics and Contemporary History, King&#8217;s College London. He is the co-author of Premiership: The Development, Nature and Power of the Office of the British Prime Minister. Subscribe to our mailing list to keep up to date with everything History Hit, click here. Producer: Dan [&#8230;]. . .
Henry Hemming @henryhemming is a historian and author of five works of non-fiction including In Search of the English Eccentric, Misadventure in the Middle East, shortlisted for the Dolman Travel Book Award, and Churchill’s Iceman, published in the US as The Ingenious Mr Pyke, which became a New York Times bestseller. M: Maxwell Knight, MI5&#8217;s Greatest [&#8230;]. . .
Tom Holland @holland_tom is the author of Rubicon: The Triumph and Tragedy of the Roman Republic, which won the Hessell-Tiltman Prize for History and was shortlisted for the Samuel Johnson Prize. Persian Fire, his history of the Graeco-Persian wars, won the Anglo-Hellenic League’s Runciman Award in 2006. His third work of history, Millennium: The End [&#8230;]. . .
Rebecca Rideal @RebeccaRideal is a historian, former television producer and author of 1666: Plague, War and Hellfire/a&#62;. She runs the online history magazine The History Vault Subscribe to our mailing list to keep up to date with everything History Hit, click here. Producer: Dan Morelle Subscribe, rate and review on iTunes and be sure to [&#8230;]. . .
Conn Iggulden is a British author who has conquered the field of historical fiction. Iggulden’s books have taken readers from Ancient Rome (Empire) to Mongolia (Conqueror), and most recently, to early medieval England. They discuss the history and motivation behind his latest novel Dunstan, including how Charles Dickens helped inspire it. Dunstan is an often-overlooked, [&#8230;]. . .
Dan Plesch is director of the Centre for International Studies and Diplomacy at SOAS, University of London. He is the author of America, Hitler and the UN, co-editor of Wartime Origins and the Future United Nations, and has been a frequent contributor to the Guardian and other media. His new book is entitled Human Rights [&#8230;]. . .
Neil Gregor is Professor of Modern European History at the University of Southampton. He has published widely on 20th century German history, including &#8216;Daimler-Benz in the Third Reich&#8217; (1998) and &#8216;Haunted City: Nuremberg and the Nazi Past&#8217; (2009), both of which won the Fraenkel Prize for Contemporary History. Come along to our next live event [&#8230;]. . .
Allen Arnold is an Interpretive Ranger for the National Park Service. The Castillo de San Marcos is the oldest masonry fort in the continental United States. Located on the western shore of Matanzas Bay in the city of St. Augustine, Florida, the fort was designed by the Spanish engineer Ignacio Daza. Construction began in 1672, [&#8230;]. . .
HMS Warrior was a 40-gun steam-powered armoured frigate built for the Royal Navy in 1859–61. She was the name ship of the Warrior-class ironclads. Warrior and her sister ship HMS Black Prince were the first armour-plated, iron-hulled warships, and were built in response to France&#8217;s launching in 1859 of the first ocean-going ironclad warship, the [&#8230;]. . . This episode gives you the history behind the headlines. Andrea Berger @andrearberger is an Associate Fellow at RUSI and a Senior Research Associate and Senior Program Manager at the James Martin Centre for Nonproliferation Studies. Andrea&#8217;s research focus is North Korea, Pacific, Proliferation and Nuclear Policy, UK Project on Nuclear Issues, Global Security Issues, Proliferation [&#8230;]. . .
Chris Naunton @chrisnaunton is an Egyptologist, writer, broadcaster and public speaker. Chris has a PhD in Egyptology and is currently writing a book with the provisional title Search for the Missing Tombs of Egypt for Thames &#038; Hudson. Producer: Dan Morelle Subscribe, rate and review on iTunes and be sure to follow us on Twitter, [&#8230;]. . .
On 18 April 1947, British forces set off the largest non-nuclear explosion in history. The target was a small island in the North Sea, thirty miles off the German coast, which for generations had stood as a symbol of Anglo-German conflict: Heligoland. Jan Rüger is Professor of History at Birkbeck University of London. His new [&#8230;]. . .
Francesca Stavrakopoulou @ProfFrancesca is Professor of Hebrew Bible &#38; Ancient Religion at Exeter University. Her research is primarily focused on ancient Israelite and Judahite religions, and portrayals of the religious past in the Hebrew Bible. She is interested in biblical traditions and religious practices most at odds with Western cultural preferences. Producer: Dan Morelle Subscribe, [&#8230;]. . .
Anthony Ray Hinton is an Alabama was held on death row after being convicted of the murders of two restaurant managers, John Davidson and Thomas Wayne Vasona, in Birmingham, Alabama on February 25 and July 2, 1985. He was released in 2015 after winning a new trial. Producer: Dan Morelle Subscribe, rate and review on [&#8230;]. . . The Battle of Vimy Ridge was a military engagement fought primarily as part of the Battle of Arras, in the Nord-Pas-de-Calais region of France, during the First World War. Paul Reed is a Military Historian, battlefield photographer, and author. He&#8217;s often on television talking about World War I and World War II. Producer: Dan Morelle [&#8230;]. . .
Patrick wrote and edited An American on the Western Front together with Elizabeth Nurser, who is Arthur Clifford Kimber’s niece. As programme producer for the BBC, he covered world events such as the fall of the Berlin Wall and realigning of eastern Europe, the First Gulf War and the Balkans War. He then focused on [&#8230;]. . .
Ben Wilson @BenHeydayWilson is a Historian. He is author of Empire of the Deep: The Rise and Fall of the British Navy (2013) and Heyday (2016). Producer: Dan Morelle Subscribe, rate and review on iTunes and be sure to follow us on Twitter, Facebook, and Instagram.. . .
Michael Puett is Professor of Chinese History at Harvard and has lectured widely at the world&#8217;s leading universities. His course in Chinese philosophy is among the most popular at Harvard and in 2013 he was awarded a Harvard College Professorship for excellence in undergraduate teaching. The Path: A New Way to Think About Everything is [&#8230;]. . .
Jerry Brotton is Senior Lecturer in Renaissance Studies at Queen Mary, University of London and director of the college&#8217;s MA in Renaissance Studies. This Orient Isle: Elizabethan England and the Islamic World is out now. Producer: Dan Morelle Subscribe, rate and review on iTunes and be sure to follow us on Twitter, Facebook, and Instagram.. . . Commander Steve Foster relates the extraordinary story of one of the most audacious escape attempts of the Second World War. Producer: Dan Morelle Subscribe, rate and review on iTunes and be sure to follow us on Twitter, Facebook, and Instagram.. . .
David Grann @davidgrann is an American journalist, a staff writer for The New Yorker magazine, and a best-selling author. His first book, The Lost City of Z: A Tale of Deadly Obsession in the Amazon, was published in 2009. Producer: Dan Morelle Subscribe, rate and review on iTunes and be sure to follow us on [&#8230;]. . .
Victoria Ingles is the ‎Senior Heritage Officer at National Museum of the Royal Navy and Curator for the new exhibition, &#8216;Pioneers to Professionals: Women and the Royal Navy&#8216;. Producer: Dan Morelle Subscribe, rate and review on iTunes and be sure to follow us on Twitter, Facebook, and Instagram.. . .
Michael Neiberg @MichaelNeiberg is an Historian of the transnational effects of war. Michael is the author of The Path to War: How the First World War Created Modern America Producer: Dan Morelle Subscribe, rate and review on iTunes and be sure to follow us on Twitter, Facebook, and Instagram.. . . The Knight&#8217;s Cross of the Iron Cross (German: Ritterkreuz des Eisernen Kreuzes), or simply the Knight&#8217;s Cross (Ritterkreuz), and its variants were the highest awards in the military and paramilitary forces of Nazi Germany during World War II. The Knight&#8217;s Cross of the Iron Cross was awarded for a wide range of reasons and across [&#8230;]. . . Professor Anna Whitelock @AnnaWhitelock is a Historian, author. broadcaster, royal commentator and Reader in History. Director of Centre for Public History, RHUL. Anna&#8217;s latest book is entitled Elizabeth&#8217;s Bedfellows: An Intimate History of the Queen&#8217;s Court Producer: Dan Morelle Subscribe, rate and review on iTunes and be sure to follow us on Twitter, Facebook, and Instagram.. . .
Teddy Corrigan is the custodian of the Ulster Tower in Thiepval, with his wife, Phoebe. He works in remembrance of the soldiers who died in the Great War. Producer: Dan Morelle Subscribe, rate and review on iTunes and be sure to follow us on Twitter, Facebook, and Instagram.. . .
Lucy Worsley @lucy_worsleyis an English historian, author, curator and television presenter. Lucy is currently Joint Chief Curator at Historic Royal Palaces but is best known as a presenter of BBC television series on historical topics. Producer: Dan Morelle Subscribe, rate and review on iTunes and be sure to follow us on Twitter, Facebook, and Instagram.. . . Professor Paul Cartledge is Professor of Greek Culture emeritus University of Cambridge and author of many books, most recently, Democracy: A Life. Producer: Dan Morelle Subscribe, rate and review on iTunes and be sure to follow us on Twitter, Facebook, and Instagram.. . .
Emily Brand @EJBrand is a writer, historian and genealogist. She specialises in the social history of the eighteenth century and is currently researching the trials and tribulations of romantic (and not-so-romantic) relationships in England, from the seduction guides of Restoration scoundrels to the brothels of Georgian York and the novels of Jane Austen. Emily is [&#8230;]. . .
Join us for a live recording of the podcast on 22 February from 7pm at Oslo Hackney. Get your tickets at http://historyhit.com/live The Channel Dash or Unternehmen Zerberus (Operation Cerberus) was a German naval operation during World War II. A Kriegsmarine (German navy) squadron consisting of both Scharnhorst-class battleships and the heavy cruiser Prinz Eugen [&#8230;]. . .
Victor Sebestyen @Victorsebby has worked as a journalist for numerous British newspapers, including The London Evening Standard, T‍he Times and T‍he Daily Mail and many American publications, including T‍he New York Times. He reported widely from Eastern Europe when Communism collapsed and t‍he Berlin Wall came down in 1989. He covered t‍he wars in former [&#8230;]. . .
Dr Adrián Maldonado @amaldon is an early medieval archaeologist currently lecturing at University of Glasgow. Producer: Dan Morelle Subscribe, rate and review on iTunes and be sure to follow us on Twitter, Facebook, and Instagram.. . .
John Bew @JohnBew is Professor of History and Foreign Policy at the War Studies Department of King&#8217;s College London. Citizen Clem: A Biography of Attlee is out now. Producer: Dan Morelle Subscribe, rate and review on iTunes and be sure to follow us on Twitter, Facebook, and Instagram.. . .
Jennet Conant is the author of Man of the Hour: James B. Conant, Navigating a Dangerous Era and the New York Times bestsellers The Irregulars: Roald Dahl and the British Spy Ring in Wartime Washington and Tuxedo Park: A Wall Street Tycoon and the Secret Palace of Science That Changed the Course of World War II. She has [&#8230;]. . .
Sarah Parcak @indyfromspace is an American archaeologist, Egyptologist, and remote sensing expert, who has used satellite imaging to identify potential archaeological sites in Egypt, Rome, and elsewhere in the former Roman Empire. She is the associate professor of Anthropology and director of the Laboratory for Global Observation at the University of Alabama at Birmingham. GlobalXplorer [&#8230;]. . .
Dr.Bettany Hughes @bettanyhughes is an award-winning historian, author, and broadcaster, who has devoted the last 25 years to the vibrant communication of the past. Her specialty is ancient and medieval history and culture. A Scholar at Oxford University she has taught at Oxford and Cambridge Universities and lectured at Cornell, Bristol, UCL, Maastricht, Utrecht and [&#8230;]. . .
Laurence Rees @WW2History has spent twenty-five years meeting survivors and perpetrators of the Holocaust. In his new book, The Holocaust: A New History, he combines eyewitness testimony, a large amount of which has never been published before, with the latest academic research to create the first accessible and authoritative account of the Holocaust in more [&#8230;]. . .
Bletchley Park was the central site for British codebreakers during World War II. Run by the Government Code and Cypher School (GC&#038;CS), it regularly penetrated the secret communications of the Axis Powers – most importantly the German Enigma and Lorenz ciphers. Some say the &#8220;Ultra&#8221; intelligence produced at Bletchley shortened the war by up to [&#8230;]. . .
Richard Brookhiser @rbrookhiser is an American journalist, biographer and historian. He is a senior editor at National Review. He is most widely known for a series of biographies of America&#8217;s founders, including Alexander Hamilton, Gouverneur Morris, and George Washington. His latest book is entitled Founders Son: A Life of Abraham Lincoln. Please note the correct [&#8230;]. . .
Francesca Stavrakopoulou @ProfFrancesca is Professor of Hebrew Bible &#038; Ancient Religion at Exeter University. Her research is primarily focused on ancient Israelite and Judahite religions, and portrayals of the religious past in the Hebrew Bible. She is interested in biblical traditions and religious practices most at odds with Western cultural preferences. Producer: Dan Morelle Subscribe, [&#8230;]. . .
Kevin C. MacDonald is Professor of African Archaeology at the UCL Institute of Archaeology where he has taught since completing his PhD at Cambridge in 1994. He has worked in Mali for more than twenty years on field projects ranging from the Late Stone Age to the historic era, principally in the Gourma, Méma, Haute [&#8230;]. . .
Adam Rutherford @AdamRutherfordis a British geneticist, author, and broadcaster. He was an editor for the journal Nature for a decade, is a frequent contributor to the newspaper The Guardian, hosts the BBC Radio 4 programme Inside Science. His new book is titled A Brief History of Everyone who Ever Lived: The Stories in Our Genes. [&#8230;]. . .
Simon Hall@simonhallwriter is Professor of Modern History and Head of School of History at Leeds University, His new book is titled 1956: The World in Revolt. Producer: Dan Morelle Subscribe, rate and review on iTunes and be sure to follow us on Twitter, Facebook, and Instagram.. . .
Sam Willis @DrSamWillis is a maritime historian, archaeologist, and broadcaster. He is the author of a number of books on maritime and naval history, including the latest book The Struggle for Sea Power: A Naval History of American Independence. Producer: Dan Morelle Subscribe, rate and review on iTunes and be sure to follow us on Twitter, Facebook, [&#8230;]. . .
With Professor Anna Whitelock, Helen Castor, Dr Sam Willis, Professor James Daybell, Professor Janice Liedl, Dr Janina Ramirez, and James Holland. Please join us this year in supporting Beanstalk, a charity that recruits, trains and supports volunteers to provide consistent, one-to-one literacy support to primary school children who need help. Producer: Dan Morelle Subscribe, rate [&#8230;]. . .
John Lewes is the nephew and biographer of Lt. Jock Lewes. Jock Lewes &#8211; Co-Founder of the SAS is out now. Please join us this year in supporting Beanstalk, a charity that recruits, trains and supports volunteers to provide consistent, one-to-one literacy support to primary school children who need help. Producer: Dan Morelle Subscribe, rate [&#8230;]. . .
With Greg Jenner and Tom Holland. Please join us this year in supporting Beanstalk, a charity that recruits, trains and supports volunteers to provide consistent, one-to-one literacy support to primary school children who need help. Producer: Dan Morelle Subscribe, rate and review on iTunes and be sure to follow us on Twitter, Facebook, and Instagram.. . .
Julian Thompson RMC served in the Royal Marines for 34 years, during which time he commanded operations at all levels from platoon to brigade. His period of command included the Falklands War of 1982, in which he commanded the 3rd Commando Brigade of three Royal Marines Commandos and the two battalions of the Parachute Regiment. [&#8230;]. . .
With Peter Frankopan, Suzannah Lipscomb, and David Olusoga. Please join us this year in supporting Beanstalk, a charity that recruits, trains and supports volunteers to provide consistent, one-to-one literacy support to primary school children who need help. Producer: Dan Morelle Subscribe, rate and review on iTunes and be sure to follow us on Twitter, Facebook, [&#8230;]. . .
With Marc Morris, Jessie Childs, and Dan Jones. Please join us this year in supporting Beanstalk, a charity that recruits, trains and supports volunteers to provide consistent, one-to-one literacy support to primary school children who need help. Producer: Dan Morelle Subscribe, rate and review on iTunes and be sure to follow us on Twitter, Facebook, [&#8230;]. . .
Adrian Searle is a journalist and author who has written extensively on a range of historical topics. Born and raised on the Isle of Wight, he returned to the island in 1984 to edit a local newspaper and has worked in a freelance capacity since 1989. A keen student of railway history and operation, he [&#8230;]. . . The Japanese term Kirishitan, referred to Roman Catholic Christians in Japanese and is used in Japanese texts as a historiographic term for Roman Catholics in Japan in the 16th and 17th centuries. Stephen Turnbull is a British academic, historian and writer. He is a specialist in eastern military history, particularly in that of Japan. In [&#8230;]. . .
Dr Fabian Hilfrich is Senior Lecturer of American History at the University of Edinburgh. Producer: Dan Morelle Subscribe, rate and review on iTunes and be sure to follow us on Twitter, Facebook, and Instagram. Please share this episode on Twitter and Facebook.. . .
Ben Gummer @ben4ipswich is Member of Parliament for Ipswich, Minister for the Cabinet Office and Paymaster General. The Cabinet of the United Kingdom is the collective decision-making body of Her Majesty&#8217;s Government of the United Kingdom, composed of the Prime Minister and some 21 cabinet ministers, the most senior of the government ministers. Producer: Dan [&#8230;]. . .
Nicholas Crane @nicholascrane is a geographer, explorer, writer and broadcaster. He has written and presented four notable television series for BBC Two: Coast, Great British Journeys, Map Man and Town.The Making Of The British Landscape: From the Ice Age to the Present is out now. Producer: Dan Morelle Subscribe, rate and review on iTunes and [&#8230;]. . . In this episode Dan speaks with 5 survivors of genocide. Producer: Dan Morelle Subscribe, rate and review on iTunes and be sure to follow us on Twitter, Facebook, and Instagram. Please share this episode on Twitter and Facebook.. . .
Craig Nelson @Craig Nelson is the author of New York Times bestseller, Rocket Men: The Epic Story of the First Men on the Moon, as well as several previous books, including The Age of Radiance (a PEN Award Finalist chosen as one of the year s best books by NBC News, the American Institute of [&#8230;]. . .
Lucie Green @Dr_Lucie is a Royal Society University Research Fellow, Professor of Physics at University College London. Dr Green&#8217;s latest book is entitled 15 Million Degrees: A Journey to the Centre of the Sun. Producer: Dan Morelle Subscribe, rate and review on iTunes and be sure to follow us on Twitter, Facebook, and Instagram. Please share [&#8230;]. . .
Lawrence James is an English historian and writer. He has written several works of popular history about the British Empire. Lawrence&#8217;s latest book is entitled Empires in the Sun: The Struggle for the Mastery of Africa. Producer: Dan Morelle Subscribe, rate and review on iTunes and be sure to follow us on Twitter, Facebook, and Instagram. [&#8230;]. . . Professor Frank McDonough @FXMC1957 is an internationally renowned expert on the Third Reich. He was born in Liverpool, studied history at Balliol College, Oxford and gained a PhD from Lancaster University. Frank&#8217;s latest book is entitled The Gestapo: The Myth and Reality of Hitler&#8217;s Secret Police. Producer: Dan Morelle Subscribe, rate and review on iTunes and be sure [&#8230;]. . .
Carlo Rovelli @carlorovelli brings original insights and a fresh view on the story of the human imagination. Referencing Anaximander and the poetry of Lucretius, Dante and Shakespeare, Galileo, Newton and Einstein to reveal how the atomic world view has always been threaded through the arts, science and poetry. Reality Is Not What It Seems is [&#8230;]. . . The Battle of the Somme was one of the bloodiest of WW1. British and French armies fought the Germans in a brutal battle of attrition on a 15-mile front. Today marks the 100th anniversary of the 141st and final day of the battle, which claimed 1 million lives. Producer: Dan Morelle Download the FREE Somme [&#8230;]. . . Professor Kevin Passmore @PassmoreKevin is professor of History at Cardiff Universty and has written extensively on European History. His book, Fascism: A Very Short Introduction is well worth a read. Producer: Dan Morelle All 3-parts of Dan Snow&#8217;s new series, Operation Gold Rush is available to stream on iPlayer. Subscribe, rate and review on iTunes [&#8230;]. . .
Sir Tony Robinson @Tony_Robinson is a much-loved actor, presenter and author with a career lasting over fifty years. His new book, No Cunning Plan is out now. Producer: Dan Morelle Part 1 &#038; 2 of Dan Snow&#8217;s new 3-part series, Operation Gold Rush is available to stream on iPlayer now and continues this Sunday on [&#8230;]. . .
Mary Ann Ochota @MaryAnnOchota is a TV presenter, anthropologist, lover of the outdoors, people &#038; the past. Royal Geographical Society Fellow, Ordnance Survey Champion, and Climb Britain Ambassador. Her latest book, Hidden Histories: A Spotter&#8217;s Guide to the British Landscape is out now. Producer: Dan Morelle Part 1 &#038; 2 of Dan Snow&#8217;s new 3-part [&#8230;]. . .
Mike Sadler is one of a handful of surviving original SAS men. Major Sadler, 93, was the navigator for the regiment’s founder David Stirling, guiding raiding columns for hundreds of miles behind enemy lines in North Africa. Twitter Instagram Facebook Dan Snow Producer: Dan Morelle Part 1 of Dan Snow&#8217;s new 3-part series, Operation Gold [&#8230;]. . .
Sarah Churchwell @sarahchurchwell is Chair of Public Humanities, American Literature Professor at the School of Advanced Study, University of London. John Prideaux @JohnPrideaux is U.S. editor at The Economist. Twitter Instagram Facebook Dan Snow Producer: Dan Morelle Part 1 of Dan Snow&#8217;s new 3-part series, Operation Gold Rush is available to stream on iPlayer now [&#8230;]. . .
Dan Snow visits the re-enactors at Battle in Sussex for the 950th anniversary of The Battle of Hastings. Dan talks with Saxon English soldiers and camp followers making final preparations before the big showdown with Duke William&#8217;s Norman army, a Blacksmith making a Saxon spearhead using a portable forge at the site of the Battle [&#8230;]. . . The Klondike Gold Rush was a migration by an estimated 100,000 prospectors to the Klondike region of the Yukon in north-western Canada between 1896 and 1899. Gold was discovered there by local miners on August 16, 1896 and, when news reached Seattle and San Francisco the following year, it triggered a stampede of would-be prospectors. [&#8230;]. . .
Michael is a Senior Human Osteologist at MOLA (Museum of London Archaeology). This involves the identification, analysis, interpretation of skeletal assemblages, and the production of specialist reports on inhumation and cremation burials. Twitter Instagram Facebook Dan Snow Producer: Dan Morelle Check out Treasures of British History by Peter &#38; Dan Snow, out now!. . .
Histories of the Unexpected explores the past in ways that you never dreamt possible. Surely there’s nothing unexpected about the past? About History? Aha, well Histories of the Unexpected adopts a new approach to exploring our past. Gone is the traditional linear plotting of battles, monarchs and political movements. Histories of the Unexpected argues that [&#8230;]. . .
Antony Robbins @antony_robbins Communications director Museum of London @MuseumofLondon. You can get 10% discount off the ticket price for &#8216;Up at the O2&#8216;, use the code &#8216;historyhit&#8217;. Twitter Instagram Facebook Dan Snow Producer: Dan Morelle Check out Treasures of British History by Peter &#38; Dan Snow, out now!. . .
Dr Innes McCartney @Innes_McCartney is a Nautical Archaeologist. He is Research Fellow at Bournemouth University and author of Jutland 1916: The Archaeology of a Naval Battlefield. Twitter Instagram Facebook Dan Snow Producer: Dan Morelle Check out Treasures of British History by Peter &#38; Dan Snow, out now! Watch The Greatest Tomb On Earth: Secrets Of [&#8230;]. . .
Albert Yu-Min Lin @exploreralbert is a Nat Geo Explorer, UCSD Research Scientist, Fellow of the Explorers Club, and co-founder of Tomnod Inc and planet3 Inc. Twitter Instagram Facebook Dan Snow Producer: Dan Morelle Check out Treasures of British History by Peter &#38; Dan Snow, out now! Watch The Greatest Tomb On Earth: Secrets Of Ancient China on [&#8230;]. . .
Lucas Nichol is Professor of Oriental and African Studies at the University of London. Twitter Instagram Facebook Dan Snow Producer: Dan Morelle Check out Treasures of British History by Peter &#38; Dan Snow, out now! Watch The Greatest Tomb On Earth: Secrets Of Ancient China on BBC Two at 8pm on Sunday 16 October or [&#8230;]. . . The Terracotta Army (Chinese: 兵马俑; literally: &#8220;Soldier-and-horse funerary statues&#8221;) is a collection of terracotta sculptures depicting the armies of Qin Shi Huang, the first Emperor of China. It is a form of funerary art buried with the emperor in 210–209 BCE and whose purpose was to protect the emperor in his afterlife. The figures, dating [&#8230;]. . . The Battle of Hastings was fought on 14 October 1066 between the Norman-French army of William, the Duke of Normandy, and an English army under the Anglo-Saxon King Harold Godwinson, beginning the Norman conquest of England. It took place approximately 7 miles (11 kilometres) northwest of Hastings, close to the present-day town of Battle, East [&#8230;]. . .
After service as a Royal Marine and as an intelligence officer for the UK security services, Paddy Ashdown @paddyashdown was a Member of Parliament for Yeovil from 1983 to 2001, and leader of the Liberal Democrats from 1988 until 1999. Later he was the international High Representative for Bosnia and Herzegovina from 2002 to 2006. He was [&#8230;]. . . The Nazis presented themselves as warriors against moral degeneracy. Norman Ohler reveals, the entire Third Reich was permeated with drugs: cocaine, heroin, morphine and, most of all, methamphetamines, or crystal meth, used by everyone from factory workers to housewives, and crucial to troops&#8217; resilience &#8211; even partly explaining German victory in 1940. The true scale and [&#8230;]. . .
Książ Castle. Medieval castle, baroque palace, Fuhrer HQ. It was seized by the Nazi regime in 1944. It was a part of the Project Reise until 1945 when it was occupied by the Red Army. Countless artefacts were stolen or destroyed by the Soviets. Twitter Instagram Facebook Dan Snow Producer: Dan Morelle Check out Treasures [&#8230;]. . .
Gross-Rosen concentration camp was a Nazi German network of Nazi concentration camps built and operated during World War 2. The main camp was located in the village of Gross-Rosen not far from the border with occupied Poland, in the modern-day Rogoźnica in Lower Silesia, Poland; directly on the rail-line between the towns of Jawor and [&#8230;]. . .
Dan explores the Nazi construction project. Consisting of seven underground structures located in the Owl Mountains and Książ Castle in Lower Silesia, previously Germany. Twitter Instagram Facebook Dan Snow Producer: Dan Morelle Check out Treasures of British History by Peter &#038; Dan Snow, out now!. . . Since World War Two there have been rumours that a train full of loot and guns disappeared into a complex of tunnels &#8211; part of a secret military project which the Nazis never finished. At the time the Soviet Red Army was advancing into the heart of Nazi Germany. Join our adventurer on the first [&#8230;]. . . This time, it&#8217;s back to where we started just over a year ago. Peter Snow is a legendary broadcaster and author. His latest book, co-authored with your host is entitled &#8216;Treasures of British History&#8216;, go buy it now! We&#8217;re 100! If you&#8217;ve been here since the start, thank you for listening! If you&#8217;re just joining [&#8230;]. . .
Simon Elliott @SimonElliott20 is an historian and archaeologist. His new book Sea Eagles of Empire: The Classis Britannica and the Battles for Britain is out now. Twitter Instagram Facebook Dan Snow Producer: Dan Morelle. . .
Dr Marc Morris @Longshanks1307 is an historian and broadcaster, specialising in the Middle Ages. He is the author of William I (Penguin Monarchs): England&#8217;s Conqueror. Twitter Instagram Facebook Dan Snow Producer: Dan Morelle. . .
Robin Schäfer @gerarmyresearch is a German military historian. His latest book Fritz and Tommy: Across the Barbed Wire is co-authored with Peter Doyle. Twitter Instagram Facebook Dan Snow Producer: Dan Morelle. . .
David Willey is Curator at The Tank Museum. Located in Bovington, Dorset, the museum of the Royal Tank Regiment and Royal Armoured Corps is a collection of tanks and armoured fighting vehicles. Twitter Instagram Facebook Dan Snow Producer: Dan Morelle. . .
Rebecca Rideal @RebeccaRideal is author and editor @HistoryVault and PhD candidate. Her new book 1666: Plague, War and Hellfire is out now. Twitter Instagram Facebook Dan Snow Producer: Dan Morelle. . .
Sinclair McKay is the author of The Secret Life of Bletchley Park, The Lost World of Bletchley Park, The Secret Life of Fighter Command, and The Secret Listeners for Aurum, as well as histories of Hammer films, the James Bond films and the pastime of rambling. Many of the men and women who had worked [&#8230;]. . .
Diane Ducret is a French writer and essayist and author of Femmes de Dictateur (Dictator&#8217;s Wives). Twitter Instagram Facebook Dan Snow Producer: Dan Morelle. . .
Pete Brown @PeteBrownBeer used to advertise lager for a living, until he realized that writing books about beer was even more fun, and entailed drinking even more beer. He appears regularly on television as a beer expert, writes on beer for a variety of publications and is the author of Man Walks into a Pub [&#8230;]. . .
Midge Gilies @MidgeGillies has written six books including biographies of the record-breaking pilot Amy Johnson, and Edwardian music hall star, Marie Lloyd. In Waiting for Hitler, Britain on the Brink of Invasion, she recreated the tension and fear that permeated the summer of 1940. Army Wives: From Crimea to Afghanistan: the Real Lives of the [&#8230;]. . .
Sarah Churchwell @sarahchurchwell is Chair of Public Humanities, American Literature Professor at the School of Advanced Study, University of London. Twitter Instagram Facebook Dan Snow Producer: Dan Morelle. . .
Dr. Anna Keay is the Director of the Landmark Trust. The Last Royal Rebel: The Life and Death of James, Duke of Monmouth is out now. James, Duke of Monmouth, the adored illegitimate son of Charles II, was born in exile the very year that his grandfather was executed and the English monarchy abolished. Abducted [&#8230;]. . .
Daniel Todman @daniel_todman is a Historian at Queen Mary University of London, author of Britain&#8217;s War, 1937-1941: Into Battle Twitter Instagram Facebook Dan Snow Producer: Dan Morelle. . .
Dr Adrian Goldsworthy is a historian and novelist who specialises in ancient Roman history. His latest book, Pax Romana, is out on August 11. Twitter Instagram Facebook Dan Snow Producer: Dan Morelle. . .
David Boyle @davidboyle1958 has been fascinated by the navy since he was a boy, but also writes about politics, economics and management. His latest book, Lost at Sea: The story of the USS Indianapolis, combines his interest in naval history with his interest in great management disasters, because the story of the disappearance of the [&#8230;]. . .
Angus Konstam @Anguskonstam is an author and historian with over 60 books in print, Angus is the current Chair of the Society of Authors in Scotland, and an expert on pirates. His latest book on Jutland 1916, is out now. Twitter Instagram Facebook Dan Snow Producer: Dan Morelle. . .
Richard Herring @Herring1967 is an English comedian and writer, whose early work includes the comedy double-act Lee and Herring. He is described by the British Theatre Guide as &#8220;one of the leading hidden masters of modern British comedy&#8221;. Twitter Instagram Facebook Dan Snow Producer: Dan Morelle. . .
Gary Sheffield @ProfGSheffield is Professor of War Studies, University of Wolverhampton, and a specialist on Britain at war 1914-45. Douglas Haig: From the Somme to Victory is Gary&#8217;s latest book. Twitter Instagram Facebook Dan Snow Producer: Dan Morelle. . .
Dan is joined in the *studio* by legendary TV Historians, Suzannah Lipscomb, Mary-Ann Ochota, and James Holland for a discussion about TV, History, Tech, and the future&#8230; Head over to Dan&#8217;s Periscope channel to watch the accompanying video with extra footage or check out our Facebook page for a different angle. Producer: Dan Morelle. . .
Andrew Blick @DrAndrewBlick is Director of History &#038; Policy and Lecturer in Politics and Contemporary History, King&#8217;s College London. He is the co-author of Premiership: The Development, Nature and Power of the Office of the British Prime Minister. Twitter Instagram Facebook Dan Snow Producer: Dan Morelle. . .
&#8216;Command of the Oceans&#8217; is the name of the new interactive galleries at Chatham. It reveals the full dockyard story, thrilling archaeology and long-hidden objects for the first time. It tells powerful, compelling stories of innovation and craftsmanship. It shows how Chatham Dockyard and its people helped lead Britain to worldwide influence. It features two [&#8230;]. . .
Dr Heather Jones @WW1POWs is Associate Professor at the Department of International History London School of Economics and Political Science. Dr Jones is the author of Violence against Prisoners of War in the First World War. Twitter Instagram Facebook Dan Snow Producer: Dan Morelle Download the free Somme 100 app from Dan Snow and The Royal [&#8230;]. . .
Stéphanie Trouillard @Stbslam is a journalist at France 24, specialising in sports and international history. Twitter Instagram Facebook Dan Snow Producer: Dan Morelle Download the free Somme 100 app from Dan Snow and The Royal British Legion.. . .
Joshua Levine is a historian and author, his latest book The Secret History of the Blitz is out now. Music: The Beta Band &#8211; I Know Twitter Instagram Facebook Dan Snow Producer: Dan Morelle Download the free Somme 100 app from Dan Snow and The Royal British Legion.. . .
Robin Schäfer @gerarmyresearch is a German military historian. His latest book Fritz and Tommy: Across the Barbed Wire is co-authored with Peter Doyle. Music: The Next Men &#8211; Joint the Dots Twitter Instagram Facebook Dan Snow Producer: Dan Morelle. . .
Paul Reed is a Military Historian &#38; author. Often on your television talking about #WW1 &#38; #WW2. Battlefield photographer. Music: Portishead &#8211; Requiem for Anna Twitter Instagram Facebook Dan Snow Producer: Dan Morelle. . . Professor Peter Doyle &#8211;@ProfPeterDoyle, is a Geologist and military historian of twentieth-century conflict. He has a particular interest in WW1 and recently co-authored Kitchener&#8217;s Mob: The New Army to the Somme. Music: Chemical Brothers &#8211; Life is Sweet Twitter Instagram Facebook Dan Snow Producer: Dan Morelle. . .
Dr Sue Black &#8211; @Dr_Black, is a British computer scientist, academic and social entrepreneur. She has been instrumental in saving Bletchley Park, the World War II codebreaking site. Sue&#8217;s book, Saving Bletchley Park: How #socialmedia saved the home of the WWII codebreakers is out now. Music: Dot to Dot &#8211; Melt Yourself Down Twitter Instagram Facebook Dan Snow [&#8230;]. . .
Stonehenge is a prehistoric monument in Wiltshire, England, 2 miles west of Amesbury and 8 miles north of Salisbury. Stonehenge&#8217;s ring of standing stones are set within earthworks in the middle of the densest complex of Neolithic and Bronze Age monuments in England, including several hundred burial mounds. Sue Greaney is a historian specialising in [&#8230;]. . .
Dan visits the National Archives to find out more about the Magna Carta. Magna Carta is a charter agreed to by King John of England at Runnymede, near Windsor, on 15 June 1215. First drafted by the Archbishop of Canterbury to make peace between the unpopular King and a group of rebel barons, it promised [&#8230;]. . . The dreadnought was the predominant type of battleship in the early 20th century. USS Texas was a second-class battleship built by the United States in the early 1890s, the first American battleship commissioned and the first ship named in honour of the state of Texas to be built by the United States. Twitter Instagram Facebook Dan Snow Producer: Dan [&#8230;]. . .
Captain David Render was a nineteen-year-old second lieutenant fresh from Sandhurst when he was sent to France to join a veteran armoured unit that had already spent years fighting with the Desert Rats in North Africa. Joining the Sherwood Rangers Yeomanry five days after the D-Day landings, the combat-hardened men he was sent to command [&#8230;]. . .
Dan visits Sarajevo on the trail of Archduke Franz Ferdinand, his assassin, Gavrilo Princip, and the fatal encounter that led to the outbreak of WWI. Twitter Instagram Facebook Dan Snow Producer: Dan Morelle. . .
Dan explores the birth and development of chemical warfare during the First World War. Twitter Instagram Facebook Dan Snow Producer: Dan Morelle. . .
Anne Sebba is a biographer, lecturer, journalist and former Reuters foreign correspondent. She read History at Kings College London and her first job was at the BBC World Services in the Arabic Department. Her forthcoming book &#8216;Les Parisiennes: How the Women of Paris Lived, Loved and Died in the 1940s&#8216; is out in July. Twitter Instagram Facebook Dan [&#8230;]. . .
Joshua Levine is a historian and author, his latest book The Secret History of the Blitz is out now. Twitter &#124; Instagram &#124; Facebook &#124; Dan Snow Producer: Dan Morelle @danmorelle. . .
Dr Marc Morris @Longshanks1307 is a historian and broadcaster, specialising in the Middle Ages. He is the author of King John: Treachery, Tyranny and the Road to Magna Carta (Hutchinson 2015), The Norman Conquest (Windmill, 2013) and A Great and Terrible King (Windmill, 2009). Presented by Dan Snow @thehistoryguy Produced by Dan Morelle @danmorelle. . .
Sir Richard Evans @RichardEvans36 is a Historian of modern Europe, President of Wolfson College and Regius Professor Emeritus of History, Cambridge, and Provost of Gresham College, London. He is author of a multitude of books, most recently The Third Reich in History and Memory examines new historical perspectives on the Third Reich. 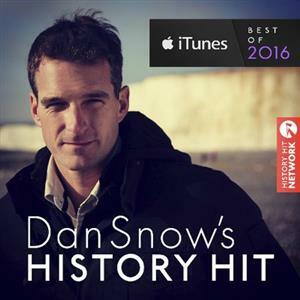 Presented by Dan Snow @thehistoryguy Produced by Dan [&#8230;]. . .
James Barr @James_Barr has worked for the Daily Telegraph, in politics, and in the City, and has travelled widely in the Middle East. He is the author of Setting the Desert on Fire, a history of T.E. Lawrence and the secret war in Arabia. During the research for A Line in the Sand he was [&#8230;]. . .
Roger Moorhouse @Roger_Moorhouse is a Historian of the Third Reich and WW2, author of The Devils&#8217; Alliance, Killing Hitler &#38; Berlin at War. His new eBook, entitled Ship of Fate: The Story of the MV Wilhelm Gustloff is available to download now. Presented by Dan Snow @thehistoryguy Produced by Dan Morelle @danmorelle. . .
Nick Arnold is a British writer of science books for children. He is best known for the long series Horrible Science. Presented by Dan Snow @thehistoryguy Produced by Dan Morelle @danmorelle. . .
Jessie Childs @childs_jessie is an award-winning author and historian. Jessie&#8217;s books are Henry VIII’s Last Victim and God’s Traitors. Presented by Dan Snow @thehistoryguy Produced by Dan Morelle @danmorelle. . .
Dan visited Gallipoli last year to mark 100 years since the start of the Gallipoli Campaign on April 25th 1915. Watch the video on YouTube here. Presented by Dan Snow @thehistoryguy Produced by Dan Morelle @danmorelle Check out the video podcast: Access All Areas. Follow us on Instagram and Facebook.. . .
Emma Smith @OldFortunatus Professor of Shakespeare Studies at Hertford College Oxford. Presented by Dan Snow @thehistoryguy Produced by Dan Morelle @danmorelle Check out the video podcast: Access All Areas. Follow us on Instagram and Facebook.. . .
George Goodwin @GeorgeGoodwin1 is a Historian and author, his latest book Benjamin Franklin in London: The British Life of America&#8217;s Founding Father is out now. Presented by Dan Snow @thehistoryguy Produced by Dan Morelle @danmorelle Check out the video podcast: Access All Areas. Follow us on Instagram and Facebook.. . .
Frank Trentmann is Professor of History at Birkbeck College, his latest book Empire of Things: How We Became a World of Consumers, from the Fifteenth Century to the Twenty-First is out now. Episode music: Le Tone &#8211; Nostalgie de l&#8217;avant-garde James Brown&#8217;s Funky People &#8211; Gimme Some More Presented by Dan Snow @thehistoryguy Produced by Dan Morelle @danmorelle. . .
Lofoten is an archipelago and a traditional district in the county of Nordland, Norway. Lofoten is known for a distinctive scenery with dramatic mountains and peaks, open sea and sheltered bays, beaches and untouched lands. Presented by Dan Snow @thehistoryguy Produced by Dan Morelle @danmorelle. . .
Sam Willis @DrSamWillis is a maritime historian, archaeologist, and broadcaster. He is the author of a number of books on maritime and naval history, including the latest book The Struggle for Sea Power: A Naval History of American Independence. Episode music: Beastie Boys &#8211; Sneakin&#8217; Out The Hospital Glass Animals &#38; Joey Bada$$ &#8211; Lose Control Presented [&#8230;]. . .
Alan Kingshott @AkKingshott is Chief Yeoman Warder at the Tower of London. Episode music: Yacht &#8211; If Music Could Cure All That Ails You Presented by Dan Snow @thehistoryguy Produced by Dan Morelle @danmorelle. . .
Ben Wilson @BenHeydayWilson is a Historian. He is author of Empire of the Deep: The Rise and Fall of the British Navy (2013) and Heyday (2016). Episode music: Mike Skinner &#8211; You Better Be Laura Mvula &#8211; Green Garden Presented by Dan Snow @thehistoryguy Produced by Dan Morelle @danmorelle. . .
Sarah Parcak @indyfromspace is 2016 TED Prize winner, Space archaeologist, Professor, scientist, Egyptologist, TED Senior Fellow, and National Geographic Fellow. This is the final of the 4 part series timed to coincide with the upcoming broadcast of &#8216;The Vikings Uncovered&#8216; on BBC1 and PBS. Follow the hashtag #VikingsUncovered on Twitter to join the conversation. Dan [&#8230;]. . .
Dr Thomas Birch is a Research Associate at University College London Qatar. This is part 3 of the 4 part series timed to coincide with the upcoming broadcast of &#8216;The Vikings Uncovered&#8216; on BBC1 and PBS. Follow the hashtag #VikingsUncovered on Twitter to join the conversation. Dan will be hosting a Q&#38;A on Periscope right [&#8230;]. . .
Doug Bolender is a research assistant professor in the Anthropology Department and the Fiske Center for Archaeological Research at University of Massachusetts Boston. This is part 2 of the 4 part series timed to coincide with the upcoming broadcast of &#8216;The Vikings Uncovered&#8216; on BBC1 and PBS. Follow the hashtag #VikingsUncovered on Twitter to join [&#8230;]. . .
To coincide with the upcoming broadcast of &#8216;The Vikings Uncovered&#8216; on BBC1 and PBS next week, Dan takes us behind the scenes and talks about his extraordinary experiences making the show. Follow the hashtag #VikingsUncovered on Twitter to join the conversation. Dan will be hosting a Q&#38;A on Periscope right after the BBC broadcast on [&#8230;]. . .
Frances Welch has written for the Sunday Telegraph, Granta, The Spectator and the Financial Times. She is author of Rasputin: A Short Life. Episode music: Dizzee Rascal and Florence + The Machine &#8211; You&#8217;ve Got The Dirtee Love (Live At The Brit Awards / 2010) Presented by Dan Snow @thehistoryguy Produced by Dan Morelle @danmorelle. . .
Dr Heather Jones @WW1POWs is Associate Professor at the Department of International History London School of Economics and Political Science. Dr Jones is author of Violence against Prisoners of War in the First World War Episode music Immortal Technique &#8211; Leaving the Past Camille &#8211; Waves Presented by Dan Snow @thehistoryguy Produced by Dan Morelle @danmorelle. . .
Chris Naunton @chrisnaunton is an Egyptologist, Director of the Egypt Exploration Society, and President of the International Association of Egyptologists. Episode music: Ari Hest &#8211; The Landlord Presented by Dan Snow @thehistoryguy Produced by Dan Morelle @danmorelle. . .
Roger Moorhouse @Roger_Moorhouse is a Historian of the Third Reich and WW2, author of The Devils&#8217; Alliance, Killing Hitler &#038; Berlin at War. Episode music: DC &#8211; I Love Gold Presented by Dan Snow @thehistoryguy Produced by Dan Morelle @danmorelle. . .
Sarah Churchwell @sarahchurchwell is Chair of Public Humanities, American Literature Professor at the School of Advanced Study, University of London. Episode music: Portishead &#8211; Numb Presented by Dan Snow @thehistoryguy Produced by Dan Morelle @danmorelle. . .
Robin Schäfer @gerarmyresearch is a German military historian. His latest book Fritz and Tommy: Across the Barbed Wire is co-authored with Peter Doyle. Episode music: Autolux &#8211; Change My Head Presented by Dan Snow @thehistoryguy Produced by Dan Morelle @danmorelle. . .
Jon T. Coleman @lostjcoleman is a professor of history at the University of Notre Dame. His books and teaching span colonial and contemporary America and integrate social, cultural, and environmental approaches. He is the author of Vicious: Wolves and Men in America and Here Lies Hugh Glass: a Bear, a Mountain Man, and the Rise of [&#8230;]. . .
Emma Craigie @craigieemma is a writer and teacher. She lives in Somerset and is currently Chair of Wells Festival of Literature. Her most recent novel, What Was Never Said, has been nominated for the CILIP Carnegie Medal 2016. Hitler&#8217;s Last Day: Minute by Minute was co-authored with Jonathan Mayo. Episode music: Madness &#8211; Le Grand Pantalon (Baggy [&#8230;]. . .
Alex von Tunzelmann @alexvtunzelmann is a historian and screenwriter. Alex writes a weekly column about historical films for The Guardian Online, entitled Reel Histories. Alex’s latest book entitled ‘Reel History‘, picks through Hollywood’s version of events, sorting the fact from the fiction. Based on the long-running column in the Guardian, Reel History takes a comic look at the history of [&#8230;]. . .
Simon Jonathan Sebag Montefiore is a British historian, television presenter and award-winning author of popular history books and novels. His new book is entitled The Romanovs. The House of Romanov was the second dynasty, after the Rurik dynasty, to rule over Russia, which reigned from 1613 until the abdication of Czar Nicholas II on March 15, [&#8230;]. . .
Part 3 of our 3 part Tudor Series, released to coincide with the 469th anniversary of King Henry VIII&#8217;s death. Dr Suzannah Lipscomb @sixteenthCgirl is a broadcaster and Head of Faculty and Senior Lecturer in Early Modern History at New College of the Humanities. Her new book &#8216;The King Is Dead&#8216; was released in December 2015. Presented [&#8230;]. . .
Part 2 of our 3 part Tudor Series, released to coincide with the 469th anniversary of King Henry VIII&#8217;s death. Jessie Childs @childs_jessie is an award-winning author and historian. Her books are Henry VIII’s Last Victim and God’s Traitors. This is a re-mastered episode of the podcast originally released on 31 Oct 2015. Presented by Dan Snow @thehistoryguy Produced by Dan Morelle @danmorelle Check [&#8230;]. . .
Part 1 of our 3 part Tudor series, released to coincide with the 469th anniversary of King Henry VIII&#8217;s death. Anna Whitelock is a Historian, author. broadcaster, royal commentator and Reader in History. Director of Centre for Public History, RHUL. Anna&#8217;s current book is entitled Elizabeth&#8217;s Bedfellows: An Intimate History of the Queen&#8217;s Court Presented by Dan Snow @thehistoryguy [&#8230;]. . . Professor Frank McDonough @FXMC1957 is an internationally renowned expert on the Third Reich. He was born in Liverpool, studied history at Balliol College, Oxford and gained a PhD from Lancaster University. Frank&#8217;s latest book is entitled The Gestapo: The Myth and Reality of Hitler&#8217;s Secret Police. Presented by Dan Snow @thehistoryguy Produced by Dan Morelle @danmorelle Episode Music: My Lu [&#8230;]. . .
Alexander Betts is the Leopold Muller Professor of Forced Migration and International Affairs, and the Director of the Refugee Studies Centre at the University of Oxford. His research is on the politics and political economy of refugees, migration and humanitarianism, with a geographical focus on Sub-Saharan Africa. He is author or editor of numerous books, [&#8230;]. . .
Here&#8217;s the audio taken from the accompanying video referred to in the previous podcast. Watch the video right here. Presented by Dan Snow @thehistoryguy Produced by Dan Morelle @danmorelle Check out The Big History Hit Giveaway. Enter to win some amazing prizes: http://historyhit.com/roomtoread. . .
Mark Knight is the Archaeological Lead at Must Farm quarry in Cambridgeshire, where the best preserved Bronze Age dwellings in Britain have been excavated. Watch the accompanying video here. Presented by Dan Snow @thehistoryguy Produced by Dan Morelle @danmorelle Check out The Big History Hit Giveaway. Enter to win some amazing prizes: http://historyhit.com/roomtoread. . .
Saul David @sauldavid66 is an historian, broadcaster and the author of several works of fiction and non-fiction. His latest book is entitled Operation Thunderbolt: Flight 139 and the Raid on Entebbe Airport, the Most Audacious Hostage Rescue Mission in History. Presented by Dan Snow @thehistoryguy Produced by Dan Morelle @danmorelle Check out The Big History Hit Giveaway. Enter to win some amazing prizes: http://historyhit.com/roomtoread. . .
Dr Rory Cox @drrorycox is a Historian of Just War Doctrine and the Ethics of War, and a Lecturer in Late Mediæval History and Associate Director of the Institute of Intellectual History at the University of St Andrews. He is also the author of John Wyclif on War and Peace. The Military Response to ISIS: a historical perspective is [&#8230;]. . .
Greg Jenner is the historical consultant to Horrible Histories and is the author of A Million Years in a Day: A Curious History of Everyday Life. Presented by Dan Snow @thehistoryguy Produced by Dan Morelle @danmorelle Check out The Big History Hit Giveaway. Enter to win some amazing prizes, including a signed copy of Greg&#8217;s book: http://historyhit.com/roomtoread. . .
Star Wars &#38; History Christmas Special. Dan talks to historian, academic, and Star Wars fan, Janice Liedl about the historical influences to Star Wars. Janice Liedl @jliedl is co-editor to Star Wars &#38; History, published by Lucas Film and written in collaboration with George Lucas. Presented by Dan Snow @thehistoryguy Produced by Dan Morelle @danmorelle Check out [&#8230;]. . .
Alex von Tunzelmann @alexvtunzelmann is a historian and screenwriter. Alex writes a weekly column about historical films for The Guardian Online, entitled Reel Histories. Alex&#8217;s latest book entitled &#8216;Reel History&#8216;, picks through Hollywood&#8217;s version of events, sorting the fact from the fiction. Based on the long-running column in the Guardian, Reel History takes a comic look at the history of [&#8230;]. . .
Dr Janina Ramirez @DrJaninaRamirez is Course Director for History of Art at the Department of Continuing Education, Oxford. An interdisciplinary art historian, known for her documentary work on BBC4, including most recently, &#8216;Illuminations: The Private Lives of Medieval Kings&#8217; and &#8216;Britain&#8217;s Most Fragile Treasure&#8217;. Janina’s new book is entitled The Private Lives of the Saints: Power, [&#8230;]. . . Some recent anniversaries and a competition announcement. More information at http://www.historyhit.com/minute Presented by Dan Snow @thehistoryguy Produced by Dan Morelle @danmorelle. . .
Dan interviews Shashank Joshi, this time face-to-face, for another Matrix-style History Hit download. Find out about the historical context to the situation in Syria. Shashank Joshi @shashj is a Senior Research Fellow, Royal United Services Institute, Research Associate, Changing Character of War Programme, Oxford University and PhD Candidate, Harvard. His blog is at https://shashankjoshi.wordpress.com. Presented by Dan Snow @thehistoryguy Produced by [&#8230;]. . .
Anita Rani @itsanitarani joins Dan on Skype, after an exhausting day of training for the popular BBC TV show &#8216;Strictly Come Dancing&#8217;. Dan and Anita discuss her families heartrending experience living through Indian Partition. The Partition of India was the partition of the Presidencies and provinces of British India that led to the creation of [&#8230;]. . . Recorded on 2 December, 2015. Dan interviews aviation historian and expert Paul Beaver @beaver_paul on the historical context and effectiveness of airstrikes in relation to the House of Commons vote on airstrikes on Syria and ISIS. Presented by Dan Snow @thehistoryguy Produced by Dan Morelle @danmorelle. . . In early November 2015, Dan was invited to speak at The School of Life @schooloflife. The School of Life is devoted to developing emotional intelligence through the help of culture. Dan Snow&#8217;s new limited edition photobook entitled &#8216;A Year of Adventure&#8217; with images captured from around the world, is out now and only available from shop.historyhit.com. [&#8230;]. . . Recorded via Skype onboard a speeding train on 24 November 2015. Dan speaks with Shashank Joshi @shashj a Senior Research Fellow, Royal United Services Institute, Research Associate, Changing Character of War Programme, Oxford University and PhD Candidate, Harvard about the historical precedents to the downing of a Russian fighter plane that entered Turkish airspace earlier today. [&#8230;]. . .
James Holland @James1940 is a historian and author writing about the Second World War and Jack Tanner series of novels, and presenter of BBC films on Battle of Britain, Jets &#38; Normandy 44. James&#8217; new book entitled The War in the West &#8211; A New History: Volume 1: Germany Ascendant 1939-1941 is out now. Presented by [&#8230;]. . .
Magna Carta (Latin for &#8220;the Great Charter&#8221;), also called Magna Carta Libertatum (Latin for &#8220;the Great Charter of the Liberties&#8221;), is a charter agreed by King John of England at Runnymede, near Windsor, 800 years ago on 15 June 1215. Dr Marc Morris @Longshanks1307 is a historian and broadcaster, specialising in the Middle Ages. He [&#8230;]. . . Recorded on 15 November 2015 Dan speaks with historian and author Tom Holland @holland_tom about the recent terrorist attacks and the historical context. To discuss this episode on Twitter please use the hashtag #HistoryHit15 Presented by Dan Snow @thehistoryguy Produced by Dan Morelle @danmorelle. . .
Dan visits the Royal Naval Air Station Yeovilton, in Somerset, England to gain a unique insight into the Battle of Taranto. He talks to Lt. Simon Wilson, the Royal Navy&#8217;s lead Swordfish pilot, views some extraordinary documents and takes a flight in a Swordfish bi-plane. The Battle of Taranto took place on the night of [&#8230;]. . .
Jessie Childs @childs_jessie is an award-winning author and historian. Her books are Henry VIII’s Last Victim and God’s Traitors. Presented by Dan Snow @thehistoryguy Produced by Dan Morelle @danmorelle. . .
Dr Tobias Capwell is Curator of Arms and Armour at The Wallace Collection in London. In this show, Dan discusses the Battle of Agincourt with exhibition curator Tobias Capwell. They take us on a tour with them around The Sinews of War: Arms and Armour from the Age of Agincourt exhibition. The Battle of Agincourt [&#8230;]. . .
Dan and acclaimed author Peter Frankopan (@peterfrankopan) put the world to rights. Presented by Dan Snow @thehistoryguy Produced by Dan Morelle @danmorelle. . . This a short episode &#8220;inbetween-isode&#8221; of 10 minutes &#8212; enjoy! Let us know what you think! Presented by Dan Snow (@thehistoryguy) Produced by Dan Morelle (@DanMorelle). . .
Tom Holland (@holland_tom) is a best-selling author, a historian, hedgehog conservator, and at the vanguard of British cricket. This week Dan hangs out in Tom&#8217;s study for a History Hit-style mind-meld. They discuss Tom&#8217;s new book &#8216;Dynasty: The Rise and Fall of the House of Caesar&#8217; amongst other things, and we hear how the Imperial [&#8230;]. . . In this episode, Dan discusses some of the week’s big historical anniversaries, visits the unveiling of the new Bomber Command Memorial in Lincoln and interviews Paul Beaver (@beaver_paul), one of Britain’s best Aviation Historians Dan also gets some compelling eyewitness testimonies from World War II veterans. RAF Bomber Command controlled the Royal Air Force&#8217;s bomber [&#8230;]. . .
Dan teams up with his dad, veteran broadcaster Peter Snow to give a blow-by-blow account of The Battle of Waterloo. Presented by Dan Snow (@TheHistoryGuy) Produced by Dan Morelle (@DanMorelle). . .